$1.00 off TWO (2) Pepsi 12oz 12P Cans or 7.5oz 8P Mini Cans. Mix & Match. Target sells the Mist Twst, 20oz Soda for $1.77 making them $0.77 after the coupon. 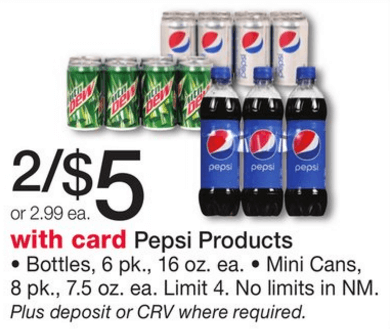 Through 7/30, Walgreens has the Pepsi Mini Cans, 8pk/7.5oz on sale for $2.50, you must buy 2 in order to get this price, making them $2.00 each after the coupon. -(2) $1.00 off TWO (2) Pepsi 12oz 12P Cans or 7.5oz 8P Mini Cans. Mix & Match. 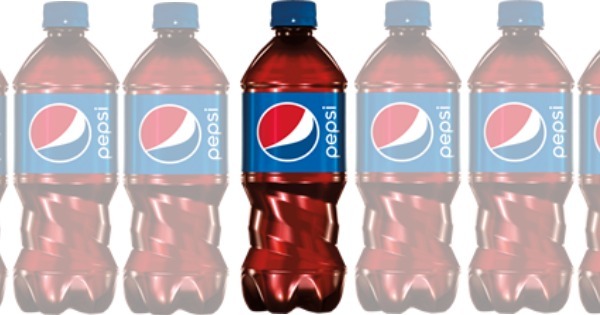 -(3) $1.00 off TWO (2) Pepsi 12oz 12P Cans or 7.5oz 8P Mini Cans. Mix & Match. -(1) $1.00 off TWO (2) Pepsi 12oz 12P Cans or 7.5oz 8P Mini Cans. Mix & Match. FitDesk Under Desk Elliptical $99.99 (Reg. $249.99) + Free Shipping!